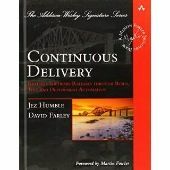 Amazon wrote: Discover a role-based simulation game designed to introduce DevOps in a very unusual way. Working with LEGO and chocolate, using avatars, personas, and role cards, you will gain an understanding of the Dev and Ops roles as well as their interdependencies. 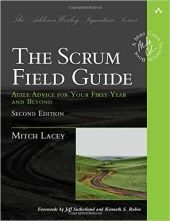 Throughout the game, players go through a range of emotions and learn to expand the boundaries of individual roles, acquire T-shaped skills, and grow the Scrum-team circle to include Operations. 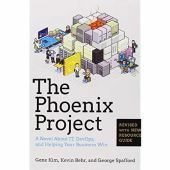 The game combines ideas from "The Phoenix Project" with the experience gained from real-life challenges, encountered by development and operations teams in many organizations. 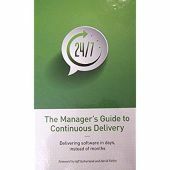 Security vulnerabilities, environments patching, deployment code freeze, development and operations silos - the game helps simulate an end-to-end product delivery process and visualize the bottlenecks in the value delivery flow. 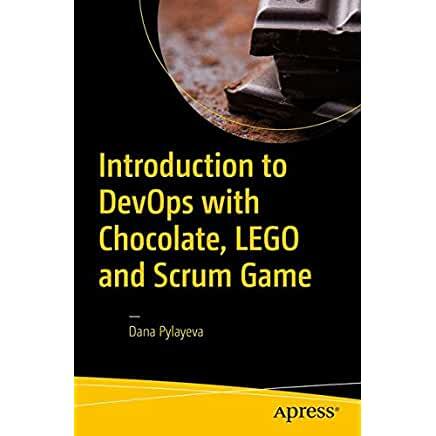 Introduction to DevOps with Chocolate, LEGO and Scrum Game engages all five senses to maximize learning effectiveness and in three sprints takes players through a gamified DevOps transformation journey. A NYC User Group was supposed to have a session to play “Introduction to DevOps with Chocolate, LEGO and Scrum Game”. It got rescheduled to the future so I picked up the book instead to see what it is all about. This book is a guide to how to run the game. It covers how to do so with different lengths of sessions. It walks the facilitator through the game and lessons. 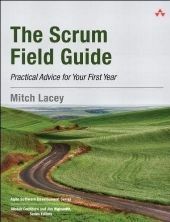 The author has “Spring” instead of “Sprint” in one place. This made me smile. I make that typo all the time! I like that the author includes quotes from those who played the game on key takeaways. It sounds like a fun game to play. I'm looking forward to the rescheduled session. I give this book 7 out of 10 horseshoes.